Despite my already extensive collection of regional ghost books from the Carolina Coast area, during my vacation I just had to pick up another! The selection I chose was, of course, Ghosts of Old Wilmington, by John Hirchak. So, our second full day of vacation was another day full of morning thunderstorms and rain on and off throughout the afternoon. After braving the lake that had formed overnight in the parking area of our rental house, we decided that since we were getting a late start, we might as well go into Wilmington for a few hours. One of the locations that I was really excited to visit was The Black Cat Shoppe, which I learned later was actually owned by the author! Anyway, among the souvenirs I picked up there was this book, and its probably my favorite thing I bought on our whole vacation. I tore through it that night. At 128 pages, it was naturally a pretty short read, but it was also well written and entertaining. I also had an added layer of excitement---driving around town a bit that day, I had seen some of the locations mentioned as being haunted AND I knew that I'd likely be seeing even more in a few days when we went on the Ghosts of Old Wilmington Ghost Walk (which will be another upcoming blog post!). 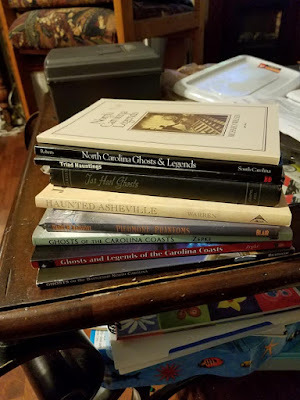 That made the stories really come alive for me since I knew I either had been or would be standing right by these places discussed in the book. 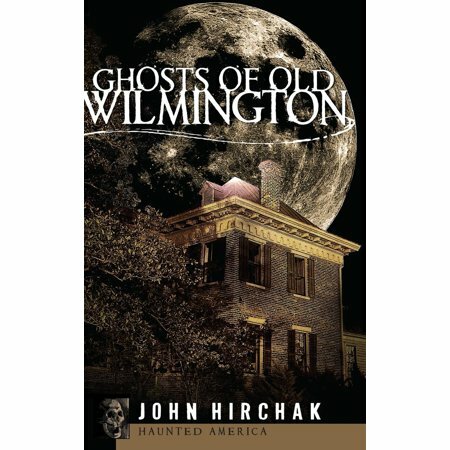 The book, Ghosts of Old Wilmington, reminds me a LOT of Ghosts of Old Wilmington, the ghost tour...and for good reason. John Hirchak and his family started the ghost walk. The collected stories and even the way they are told are similar throughout both the tour and this book, meant as a companion piece to the tours...but there are differences. Not all the stories in the book will be told on your tour and not all stories on the tour are found in this book---so definitely don't think one can replace the other. If you do find yourself with a copy of Ghosts of Wilmington, you'll read tales of Samuel Jocelyn, who was buried alive in a local church cemetery; Gallus Meg, a rough tavern owner who is still assuring men follow the rules of her establishment; a ghost that likes to leave dimes with significant dates on them as presents; and plenty of others. There is a good mix of history thrown in, but not to the point where it bogs down the spooky stories. Most, if not all, the stories found in the book are made even more interesting because they are from locations that are either open to the public, or publicly accessible in some way. 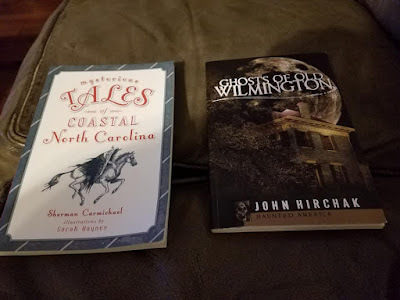 Even if you don't plan on visiting Wilmington, I'd still suggest this book. There are some pretty fascinating stories that run a little deeper than the normal "footsteps were heard" type of haunting that is so often written about. 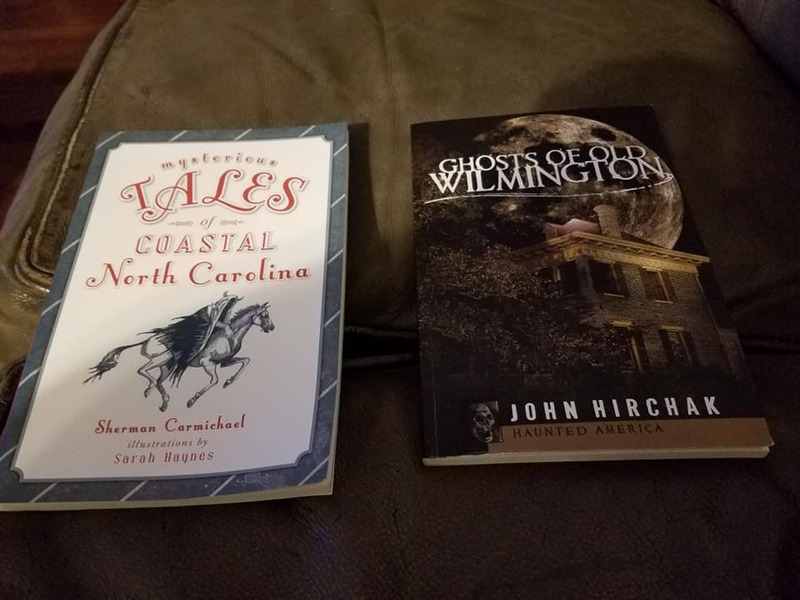 Wilmington is a cool little city, full of history and strangeness, and this book is a fun representation of some of its citizens that refuse to leave their southern home. 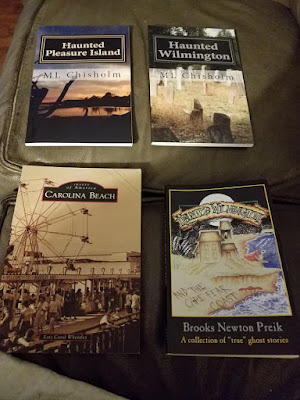 I already owned quite a few books ghost books about North Carolina, including one on the ship, the USS North Carolina!